Roses are red and violets are blue, at Powder we stock Pansy’s that are perfect for both me and you! It’s that time of the year again, Valentines Day – for some people that may just mean the day after Galentines Day, for others it’s the perfect opportunity to spoil the one(s) that you love, there are also others who can’t wait to stick on Bridget Jones’ Diary and get cosied up with a bottle of wine or two! However you decide to spend Valentines Day this year, we just hope that you spend it doing the things that you love the most! 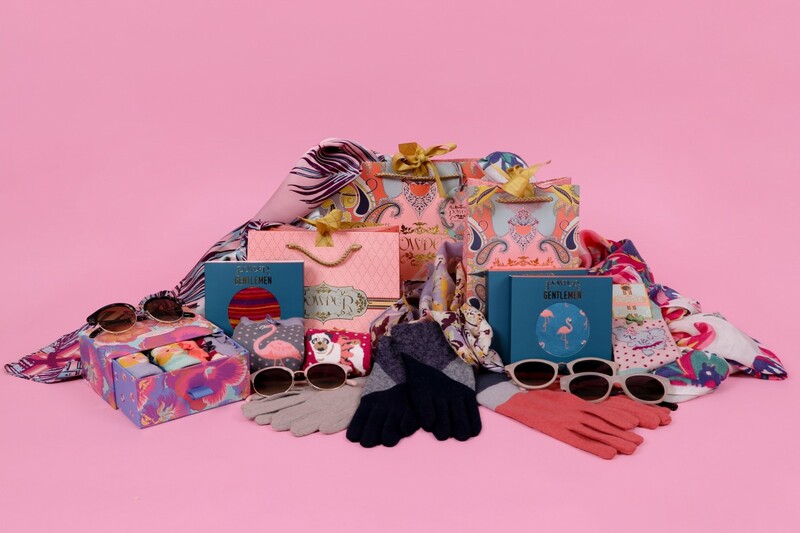 As a helping hand, we’ve put together a few items in the Valentines Gift Guide from both our newer Spring/Summer 2019 Collection, as well as a couple of items from our previous season; all of which would make an ideal gift, be that to the people you love the most or just to treat yourself with! 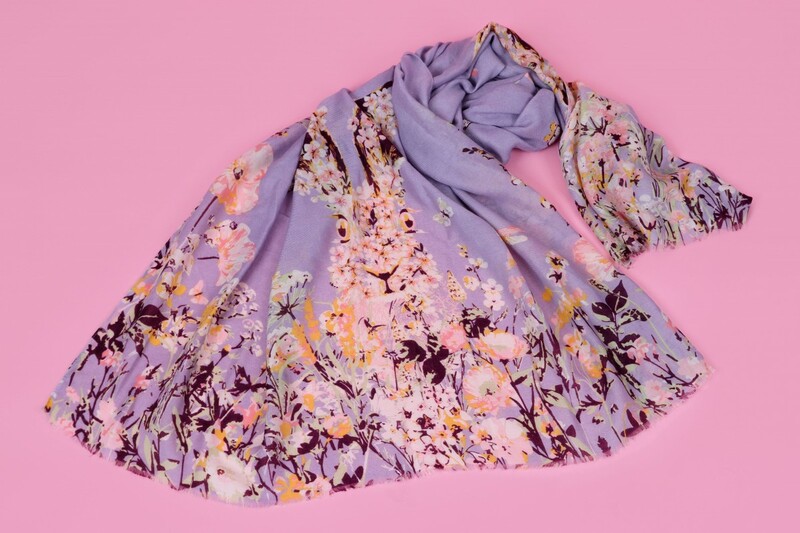 This gorgeous Spring Hare Printed Scarf is just as pleasant to touch as it is to look at; coming in a stunning lilac shade – it’s perfect for adding a pop of colour to a winter coat, or for draping over your shoulders at an event or while on holiday. 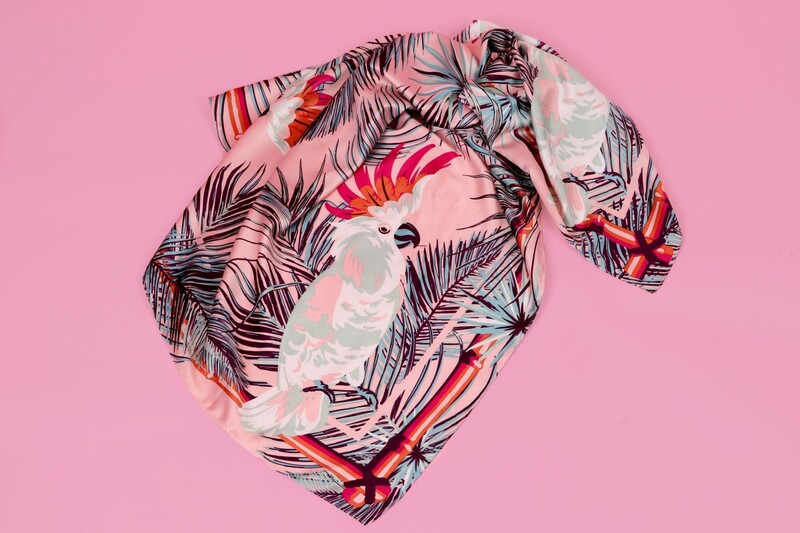 The design brings in tones of candy, mint and mustard through the springtime foliage, creating the head of the hare – will it catch you unaware? At Powder, we have an array of Sunglasses to tickle your fancy! Coming in various styles and colours, we like to think that there's a pair for everyone! 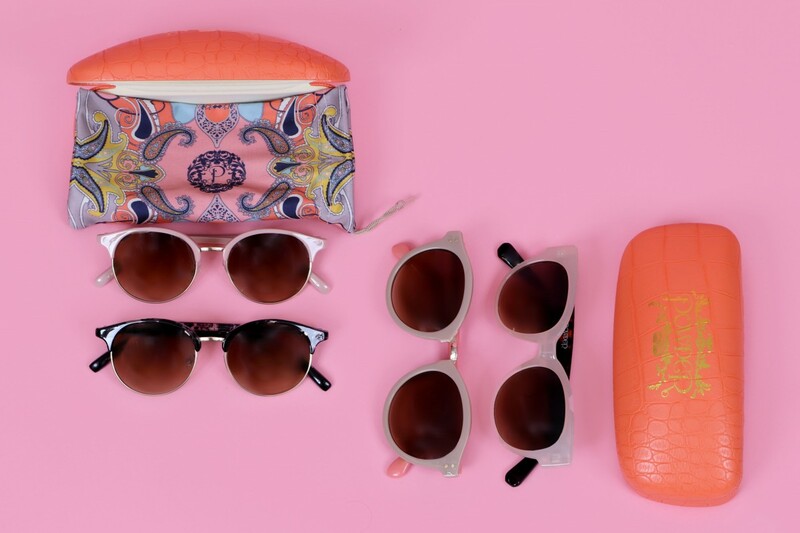 Our Margot Ladies Sunglasses come in both a Pink as well as a Tortoiseshell shade, their classic design is perfect for a slightly safer option (especially when buying as a gift), while our Megan Sunglasses come in Stone and Candy and our Samantha Sunglasses come in Cream! Why not take a look at the whole collection and see which pair would suit you or someone you know best? 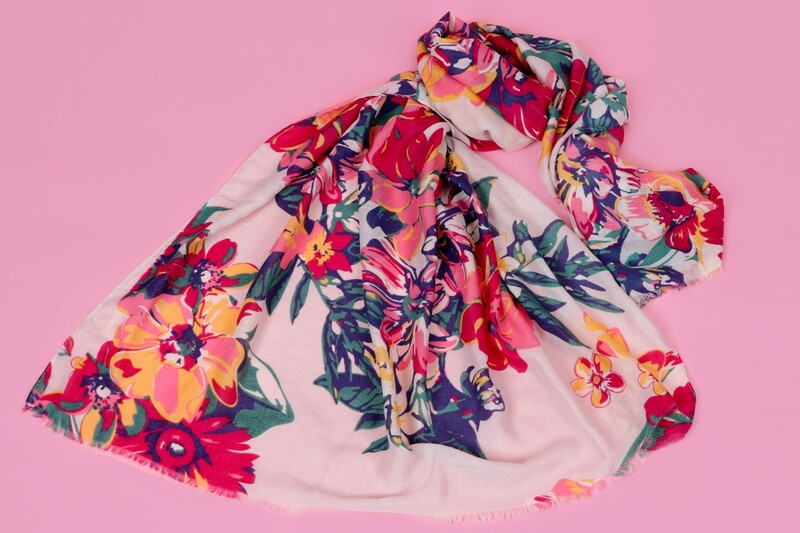 Have you noticed that the majority of our Spring/Summer 2019 Collection of Printed Scarves have been inspired by florals? If you're finding it difficult to decide which one to go for, why not choose our Summer Floral Print? It comes in both a Slate as well as a Turquoise colour, ideal for getting in the mood for the warmer and brighter days! Are you a fan of socks? Looking for a collection of various designs and styles? 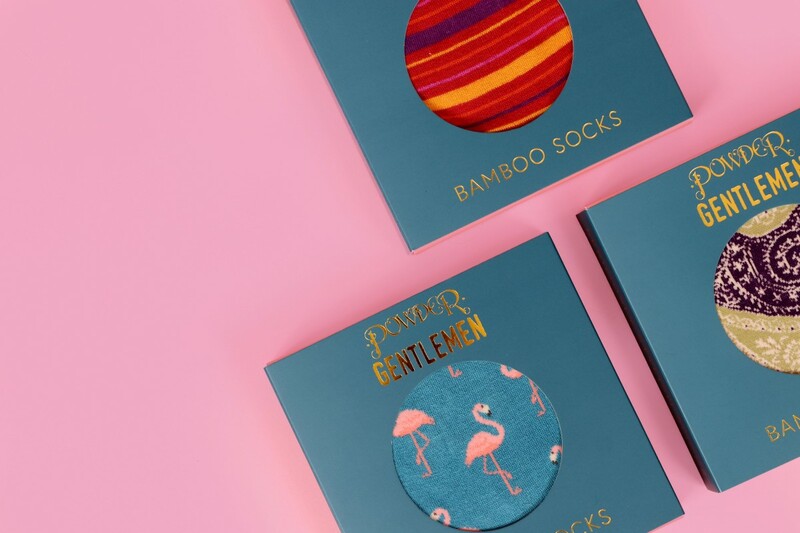 At Powder, we create Knee-High Socks for those cosy nights in and cold days out, charming Ankle Socks with cute and colourful designs, as well as Trainer Socks for when you're on the go - or Gift Boxes for when you're feeling extra generous! Which pair will you pick this Valentines Day? We are all about the Satin Squares this year, debuting not one – but three new designs along with our classic Paisley Print! While we can’t pick a favourite, it’s safe to say that the Cockatoo Satin Square is up there! Be sure to check out our Monkey Satin Square and Elephant Parade Satin Square too! Let us know which one you like best? Perhaps one for each of your friends? While we're sure that we are all more than ready to drive right through spring and straight into summer, unfortunately the weather appears to have other plans! As such, a pair of cosy Wool Gloves can never go wrong! Let love warm your heart and let our selection of Wool Gloves warm your hands! Really, they're the gift that keeps on giving! Our top pics have to be our Zandra Wool Gloves, Vivienne Wool Gloves, as well as our Monica Wool Gloves! Of course, we can't forget about the gents! Have you seen the lovely new Mens Sock Boxes that Lisa designed yet? Each pair of Mens Socks come in one - we just love how you can see the fun and quirky design of each sock pop through! 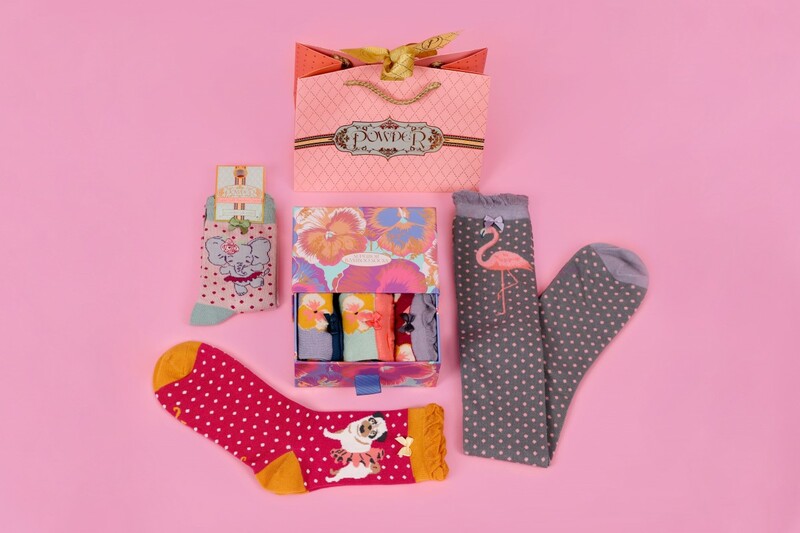 Both our Ladies and Mens Socks are made with Bamboo Fibres which help make them feel extra soft and cosy - plus, we also have a few designs (like the flamingos pictured) that are the perfect match for both the ladies and the gents! Which pair will you pick? Have you been inspired to check something out for yourself or someone else? If you've got someone in mind who is a little difficult to buy for, we also offer Gift Vouchers that can be printed off and used online - simply click here to find out more! However, if so, don't forget to enter our #photocompetition where you could be in with the chance of winning a £100 Powder Voucher to spend online! All you need to do is tag us on Instagram and use the hashtag #powderuk or send us pictures of you and your Powder accessories here for your chance to win! Good luck!